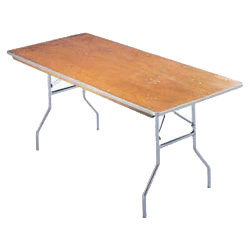 Table Rentals in Miami are very popular all year round. Miami Party Rental has thousands of regular and specialty tables for all your party needs. We service from small intimate events to large gatherings that need to seat thousands of guests. We have been in business for over 35 years and have the experience to make your event successful! Call us for the best prices on Table Rentals in Miami! 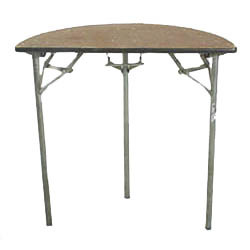 Rectangle Table Rentals in Miami are one of the most popular table rentals in the industry. 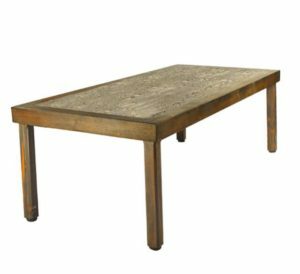 We carry children's rectangular tables as well as regular adult sized tables for all your rental needs. 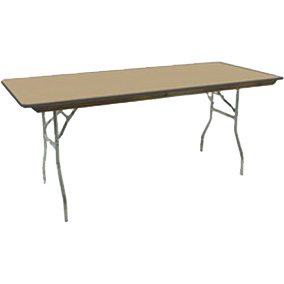 We always have a few thousand rectangular tables in stock, so whether your having a small intimate dinner for a birthday party or for the holidays or a large gatherings for a wedding or corporate picnic, Cache Party Rental can accommodate all your party rental needs. 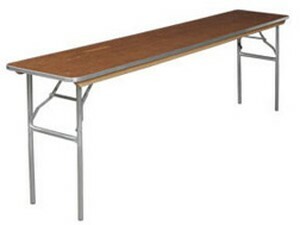 The following is a list of our Rectangular Table Rentals in Miami inventory. RGC-0630-10 Rectangle - Plywood Top: 6' X 30" (10 children) $7.00 Ea. RG-0430-06 Rectangle - Plywood Top: 4' X 30" (4 people) $5.00 Ea. 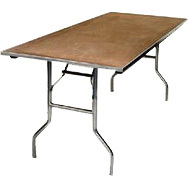 RG-0630-08 Rectangle - Plywood Top: 6' X 30" (8 people) $6.00 Ea. 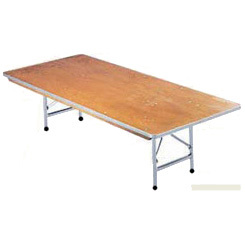 RG-0830-10 Rectangle - Plywood Top: 8' X 30" (10 people) $7.00 Ea. 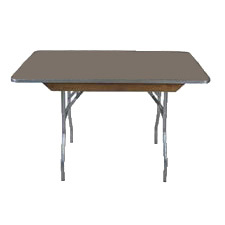 Conference Table Rentals in Miami are specialty tables that are used mostly by businesses when they need extra tables to hold their meetings. Miami Party Rental have a few hundred in stock, so always call us for all your company event needs. 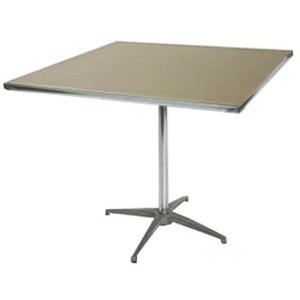 We also carry very nice linens for these specialty conference tables. 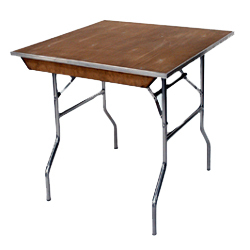 The following is our inventory list of the different Conference Table Rentals in Miami that we have in stock! 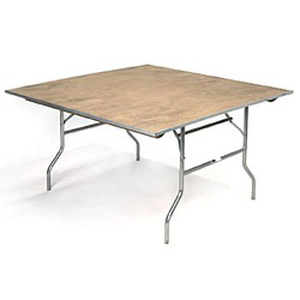 CF-0618 Conference - Plywood Top: 6' X 18" $7.00 Ea. CF-0818 Conference - Plywood Top: 8' X 18" $8.00 Ea. Square Table Rentals in Miami look outstanding at weddings and special events. 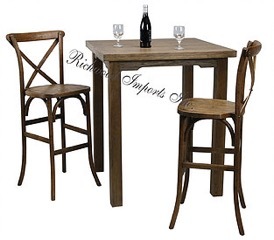 Depending on the size that you order these tables can accommodate between 4 to 8 seated guests. We also have many different colored linen rentals that you can cover these tables with. 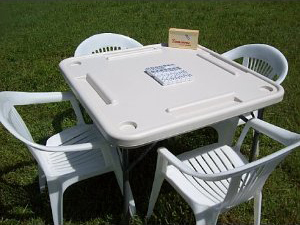 Call Miami Party Rental for the best prices on Square Table Rentals in Miami! SQ-3000-04 Square - Plywood Top: 30" X 30" (4 people) $7.00 Ea. SQ-3600-04 Square - Plywood Top: 36" X 36" (8 people) $8.00 Ea. SQ-4800-04 Square - Plywood Top: 48" X 48" (8 people) $9.00 Ea. SQ-6000-04 Square - Plywood Top: 60" X 60" (8 people) $12.00 Ea. SQ-3030-04 Square - Plywood Top: 30"(sq) X 30(h)" (3 pc.) $7.00 Ea. SQ-3630-04 Square - Plywood Top: 36"(sq) X 30(h)" (3 pc.) $7.50 Ea. SQ-3042-04 Square - Plywood Top: 30"(sq) X 42(h)" (3 pc.) $8.00 Ea. SQ-3642-04 Square - Plywood Top: 36"(sq) X 42(h)" (3 pc.) $9.00 Ea. 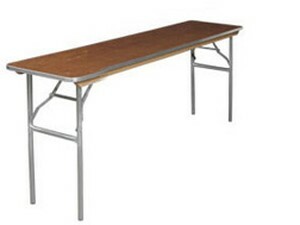 Specialty Tables and Umbrella Rentals in Miami are quite popular for indoor as well as outdoor events. 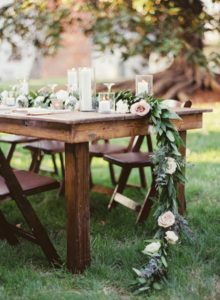 Some can be used for display setups, (cake tables), and buffet tables, while others are just for seating or placing your favorite drinks. In addition, our umbrellas are used for outdoor events and can create much needed shade for your guests during those incredibly hot South Florida sun! The following is a list our Specialty Tables and Umbrella Rentals in Miami inventory. 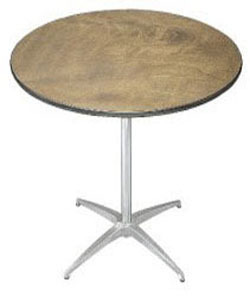 QT-0800 Quarter Round Table: 8'(Dia) $8.00 Ea. 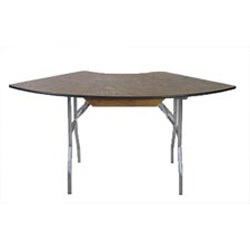 QT-1000 Quarter Round Table: 10'(Dia) $10.00 Ea. HF-0400 Half Round Table: 4'(Dia) $7.00 Ea. 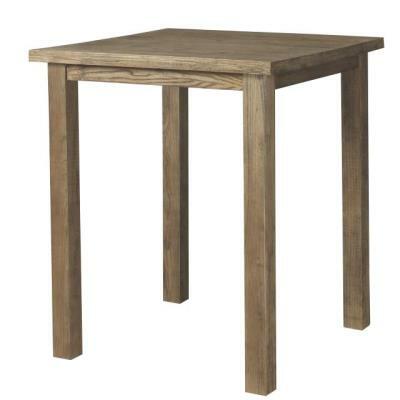 HF-0500 Half Round Table: 5'(Dia) $8.00 Ea. 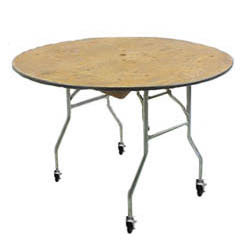 RCA-4800 Round - Cake Table: 48" - Rolling Table $10.00 Ea. 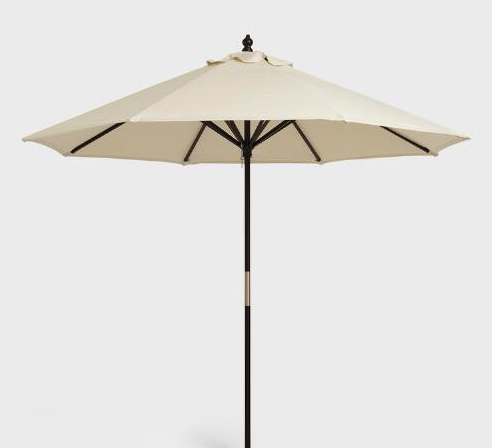 UM-7500 Umbrella - Round 9' - Color Taupe $25.00 Ea. 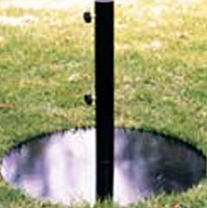 UMB-1000 Umbrella Base - Metal $5.00 Ea. Round Table Rentals in Miami are the most rented tables in South Florida. Widely used for all types of events from birthday parties to weddings and company picnics. 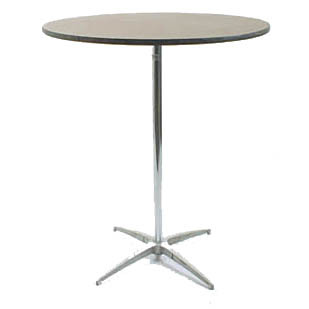 We have a few thousand round tables in stock for all your rental needs. In addition, we have many different colored linens to cover these tables so that they can match just about any decor or theme for your event. Cache Party Rental offers the best prices in town! 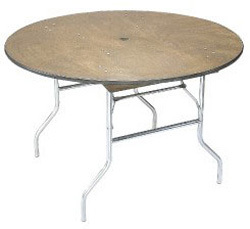 The following is a list of Round Table Rentals in Miami that we have in stock. 36" - 48" - 60" 72"
RD-3600-04 36" Round - Plywood Top (4 people) $5.00 Ea. RD-4800-08 48" Round - Plywood Top (6-8 people) $6.00 Ea. RD-6000-10 60" Round - Plywood Top (8-10 people) $7.00 Ea. RD-7200-12 72" Round - Plywood Top (10-12 people) $8.00 Ea. Contact us and We'll do everything we can to make sure your event is as great as you imagine it!